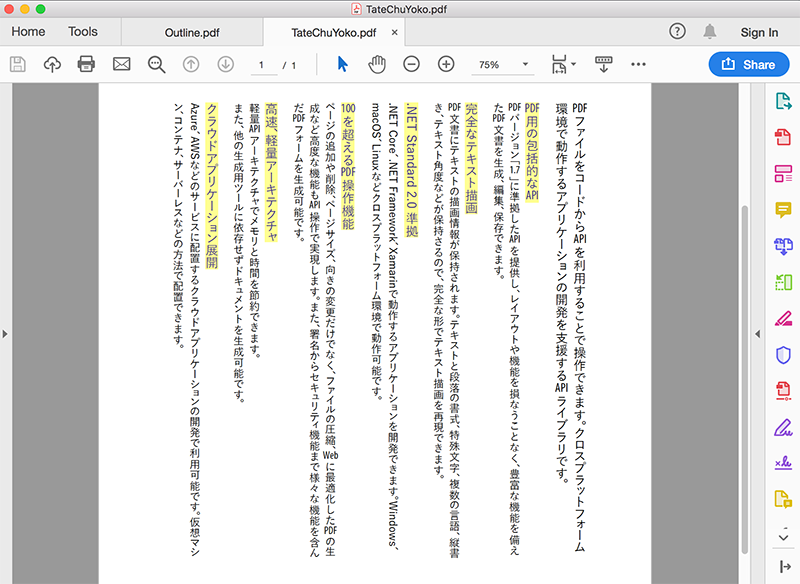 GcPdf supports several annotation types and now it adds another to the list: sound annotations! This support can make your PDF documents more interactive. Sound annotations can be applied on a form action or describe particular parts of PDF documents. This annotation has a sound object associated with it recorded from computer's microphone or from a file. 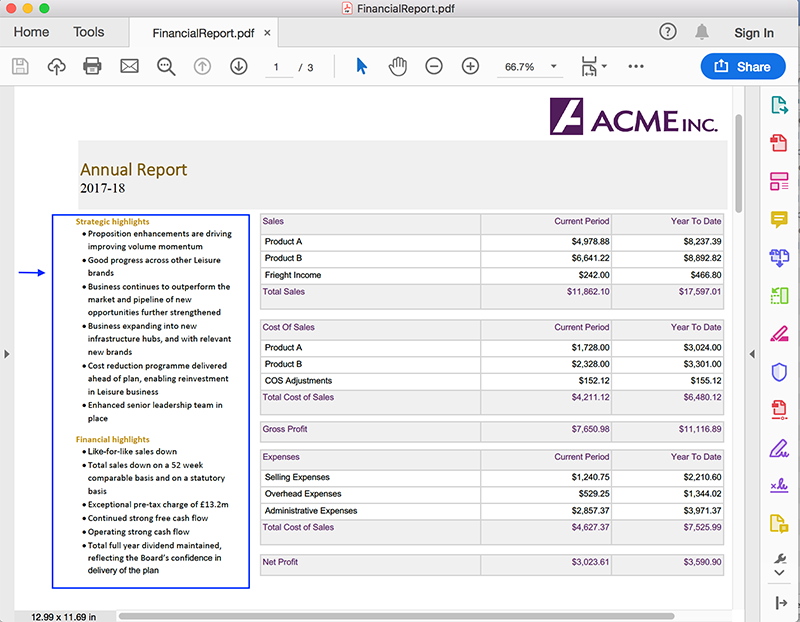 This support adds specific page navigation features to PDF documents, including the ability to add page labels to pages so that PDF viewers would show a page label (e.g. 'Preface iii') instead of the generic 'Page 3.' The feature supports all features as mentioned in the PDF Specification 1.7 Chapter 8.3. GcPdf has been supporting saving PDF documents to PDF/A. 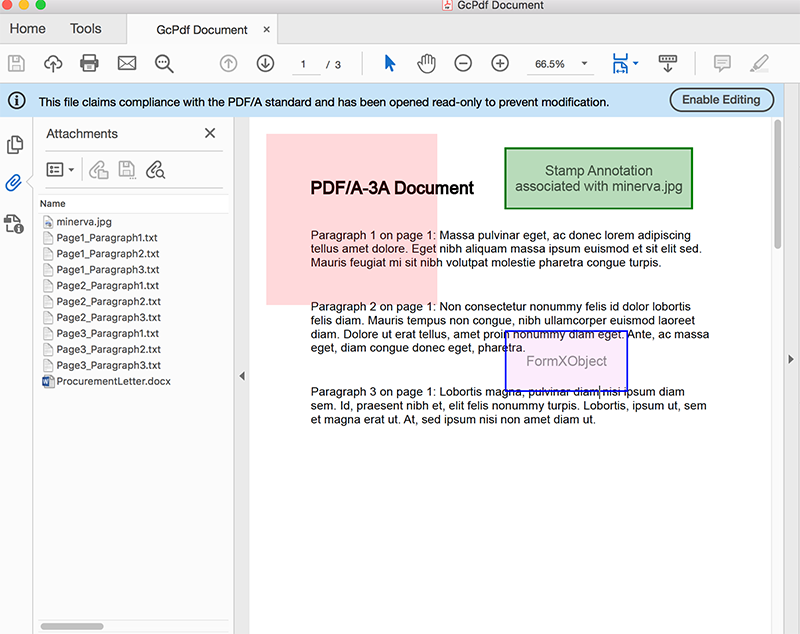 With GcPdf, you can now create, edit, and save PDF/A documents of all conformance levels. The support also includes Associated Files concept, which is needed to support embedded files in PDF/A-3 documents. You can embed files, images, txt, docx files, and more, and associate them with document elements. PDF/A-3a requires all content to be tagged, so you can add elements tagged as per PDF/A rules in the PDF/A documents. If you need to use data from specific parts in the PDF file, you can now extract text from any position on the page. You'll be able to fetch data from PDF documents based on geometry and use this data in any other documents like TXT, DOCX, XLSX. You can now add text like mathematical equations, chemical formulas, trademark, or copyright to your PDFs using GcPdf. Add these simple boolean properties to the TextFormat class, and you can set text to superscript or subscript in just a single line of code. Tagged content enables screen reader softwares and other assistive technologies to read PDFs. Users can create and load PDF/UA compliant files, and create, load, modify and modify tags in existing PDFs. 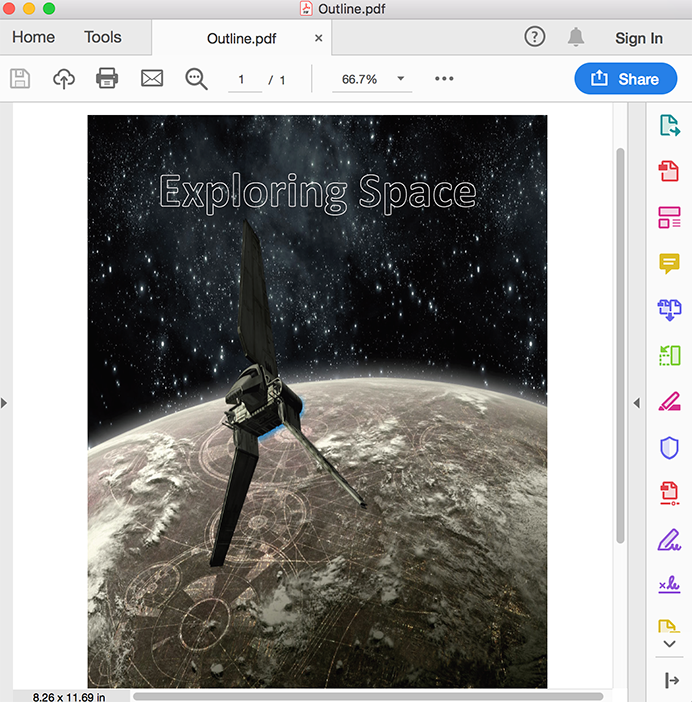 A key PDF editing feature has been added! Users can now merge multiple PDF documents into a single document; split up a PDF into multiple documents; and copy and move pages within a PDF or between PDFs. 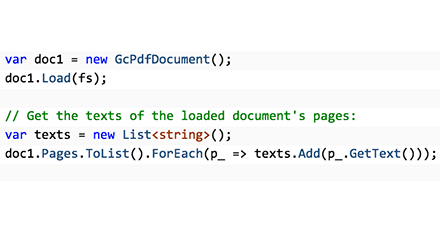 Additionally, a FormXObject, a space-efficient way to store repetitive content, can be created from any PDF page and reused in the same or other documents. GcPdf has always supported popular formats for drawing images. Semi-transparent images enhance this feature to include watermark logos and images. GcPDF 1.0 enabled users to add file attachments as annotations to PDF document, which pointed at document locations in the system. 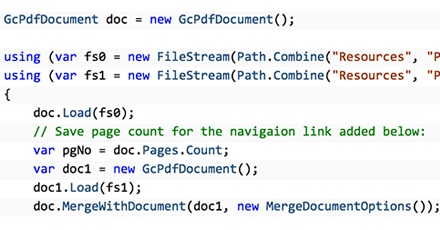 Now, GcPdf adds the ability to actually embed these files of different formats in PDF. Once PDF is generated, you can open these files from the PDF itself. 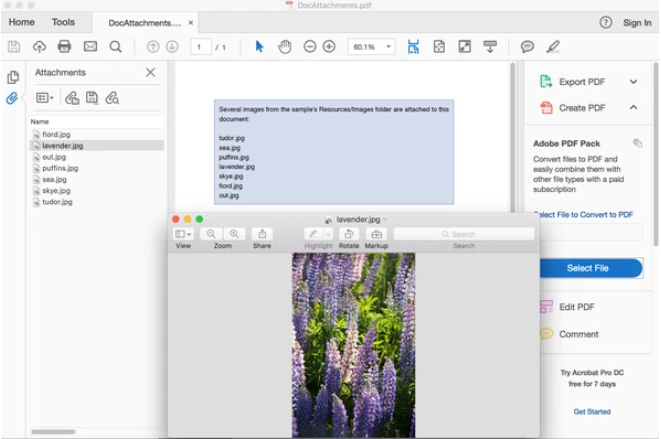 Extract any image from a PDF file with this new feature! Images can be saved for uploading online or to the system, and use the images in different file formats. 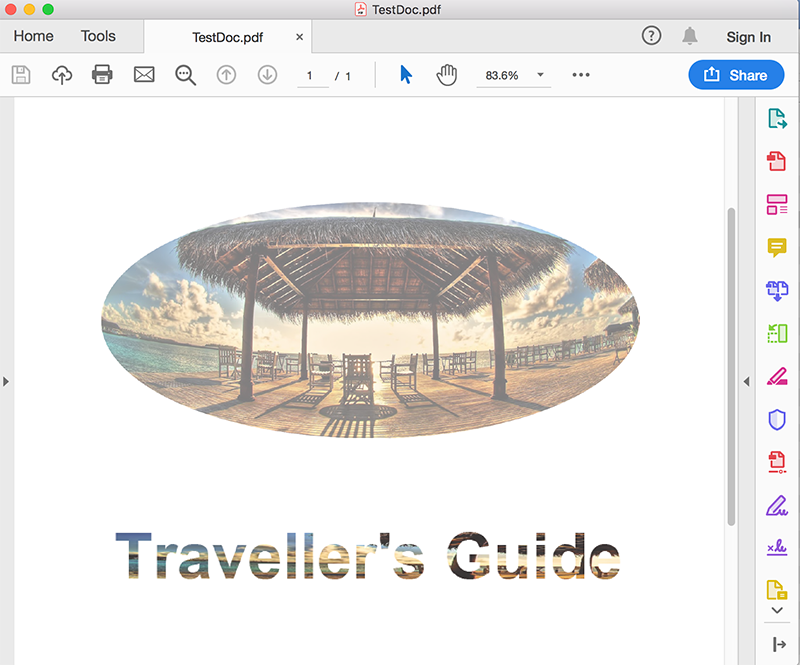 When users need to edit a PDF, but don't have a PDF tool, they can now extract all text from the PDF for use on web pages, Word documents, PowerPoint, etc.